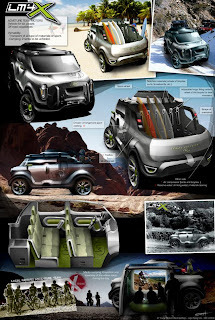 Yesterday, we announced the winners of the fourth Local Motors Competition - Adventure Team Motors. After 34 entries, this was an extremely well-competed event and our three winners have much of which to be proud. I have now corresponded with each of these folks and I am not only impressed with the excitement that they are feeling, but with the humility they bring to the process. Keep it up team!